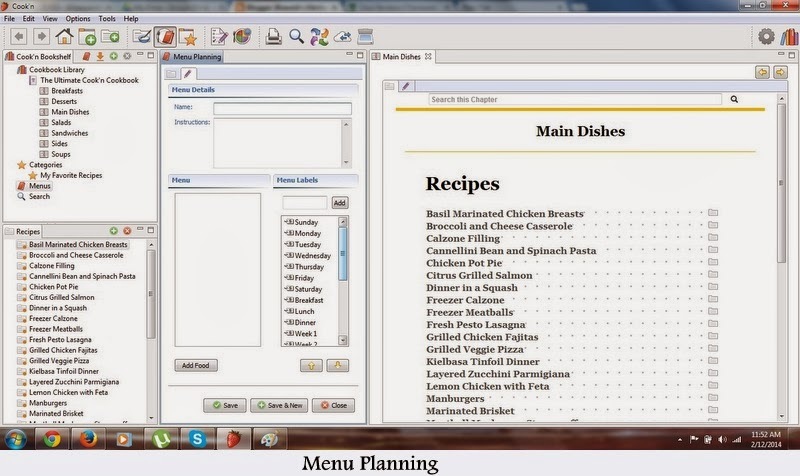 By using this software we can get all the recipes in one place and also we can create our own cook book. This is the home page of this software. 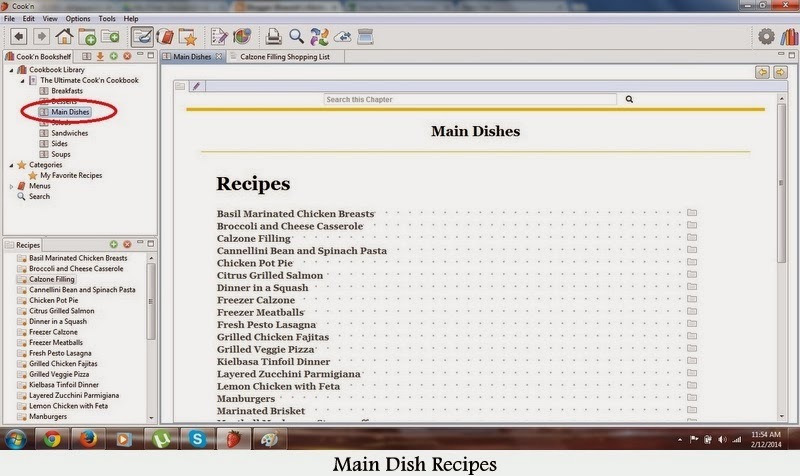 This page shows the collections of different recipes from different websites. There are lots of recipes available under each chapters. The chapters are classified into Breakfast, Desserts, Main Dishes, Salads, Sandwiches, Sides and Soups. 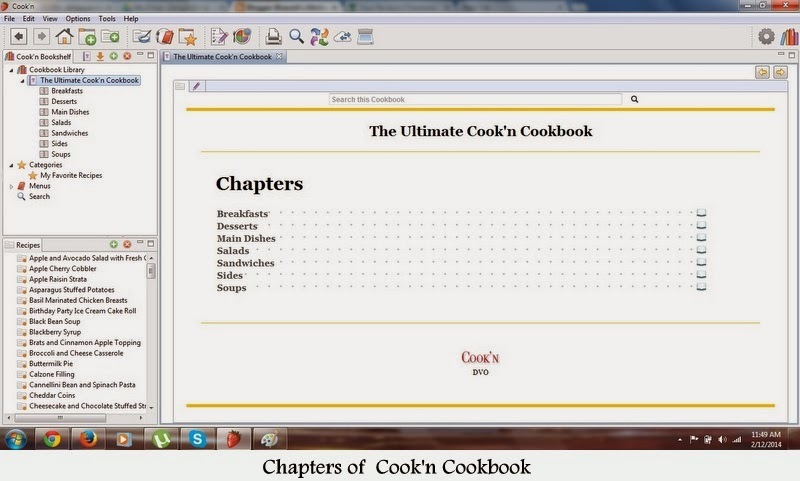 Just clicks on the chapter to get the recipes. Here i chose Main dishes. It showed lots of recipes under that category. I decided to make Chicken Pot Pie. Once i clicked on Chicken pot pie, it redirected me to the recipe page. 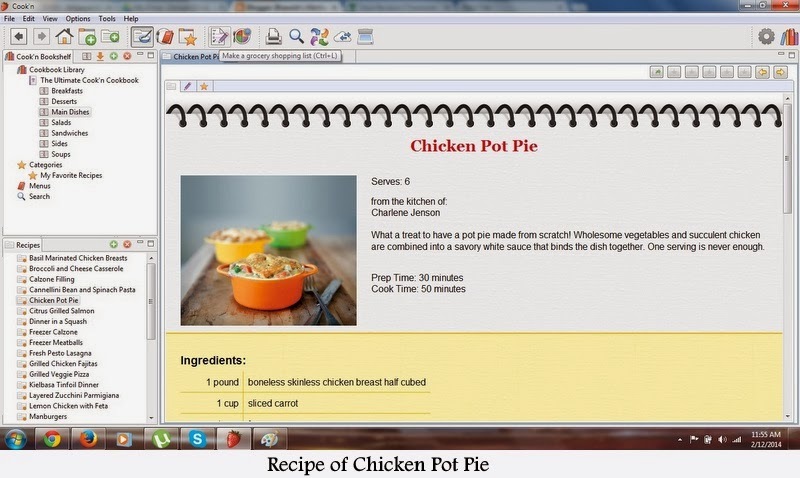 In this page, it showed the recipe image, where the recipe was taken, how many serves, prep time, cooking time, ingredients and method of cooking. It is very neat and clear. We always wanted to know what nutrients are in the foods we are eating. 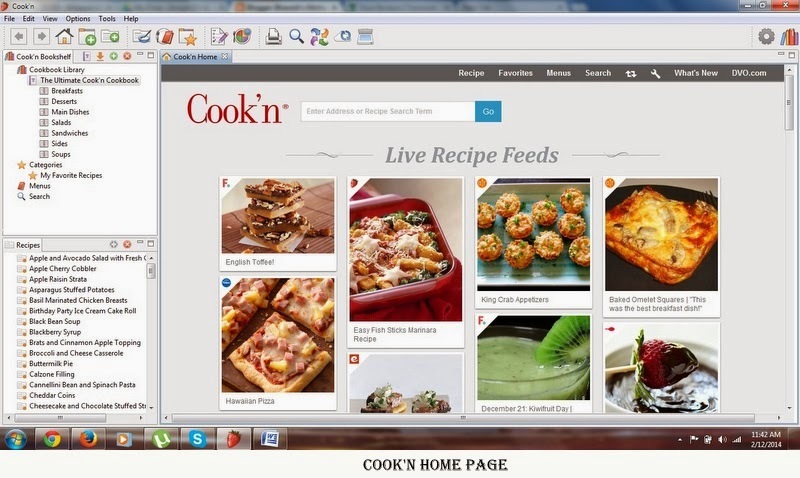 Cook'n recipe software helps us stay organized in our dieting! 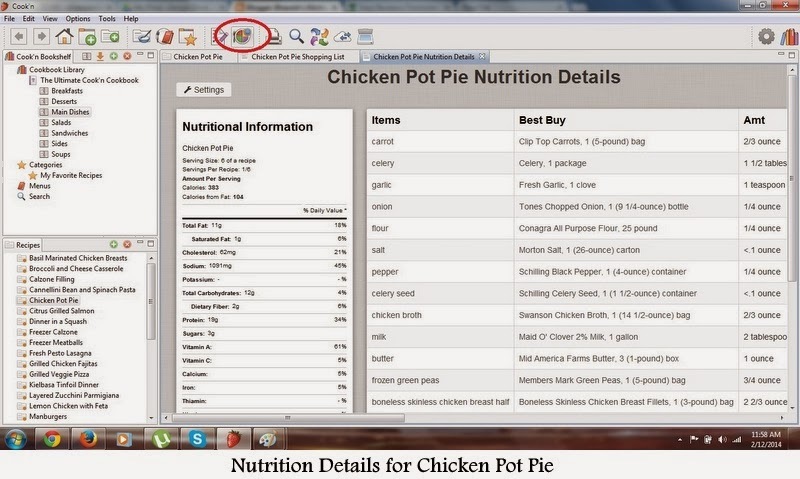 Analyze the nutritional elements of recipes and menus (even the ones we add in the Menu Planner) Cook'n makes it simple to calculate the nutrients our body is receiving. 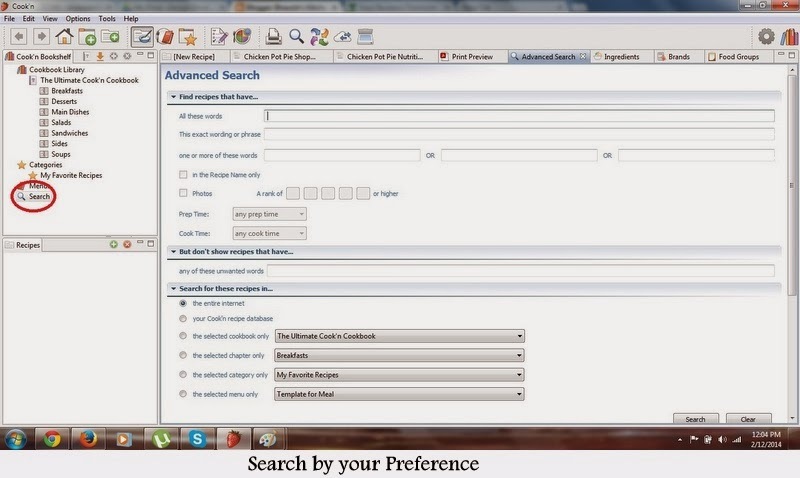 After typing in a recipe or importing one from the internet, simply click a button for the information we need. 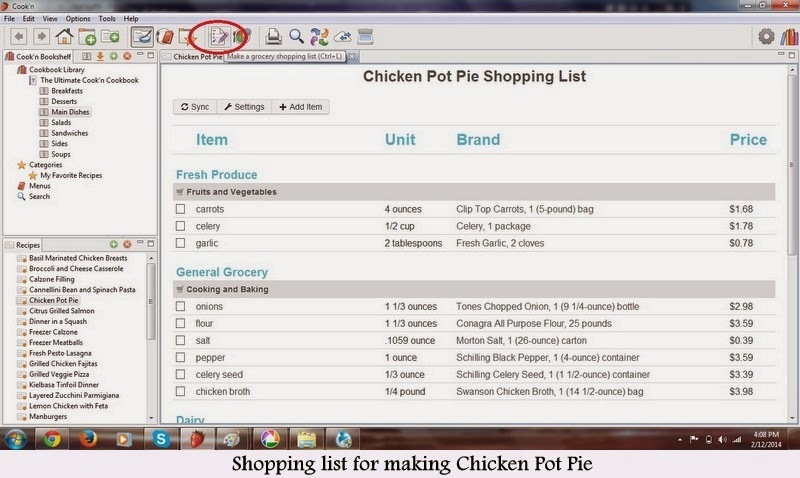 Cook'n also calculates the approximate cost of your shopping list. 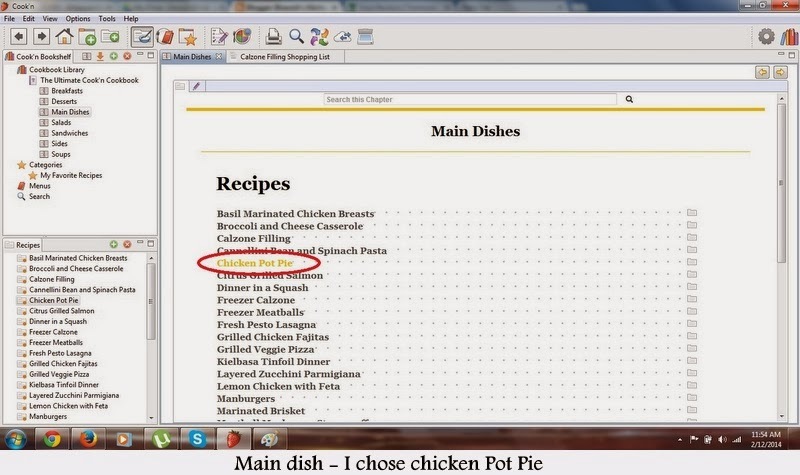 Cook'n automatically combines the food on our menus and makes a grocery shopping list. It even converts tablespoons of tomato paste to 8 oz. cans! Cook'n organizes your shopping list by aisle to save you time at the store. This is the one we always need. Menu Planning. Cook'n is the perfect solution to organize our personal recipes.With the Visual Menu Planner we can create custom menus and meal plans. 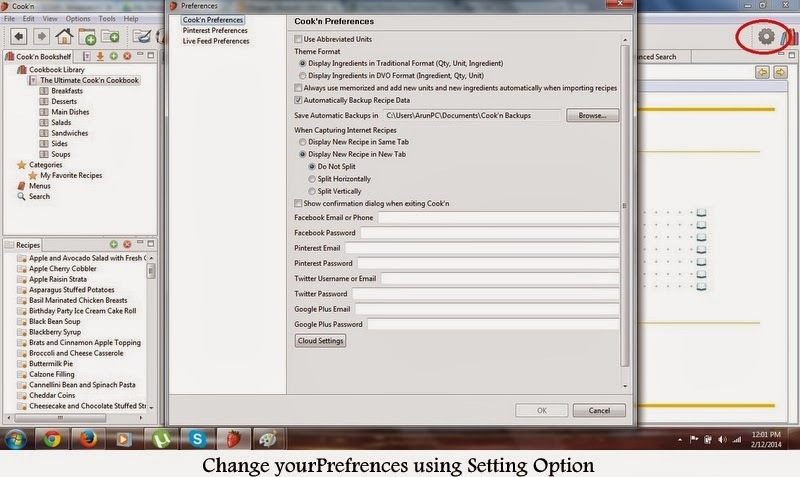 We can change our Preferences under the setting option. Cook'n makes sharing our favorite recipes a snap! 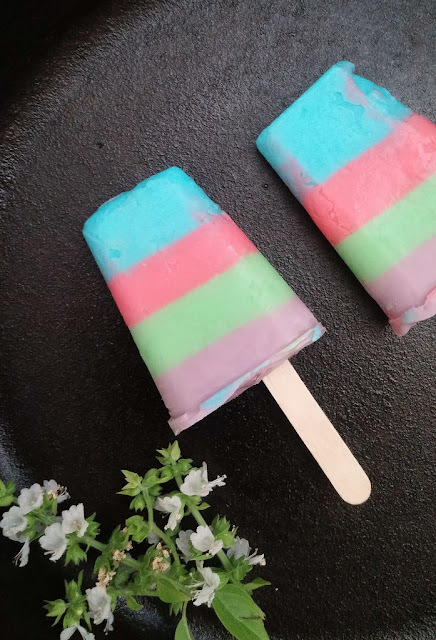 Post our favorite recipes on Facebook or pin our recipes on Pinterest with just one click! Print a family cookbook and give a gift that everyone will treasure or simply e-mail a recipe to a friend. Tweet our recipes, embed our recipes in our web pages, and link to them. 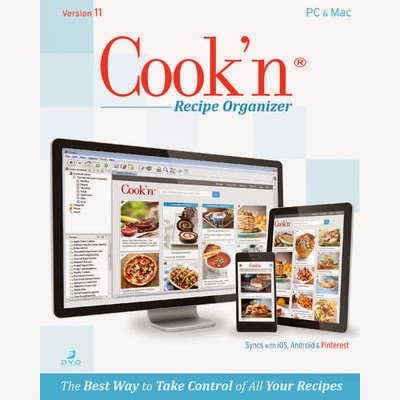 Price : The cost of Cook'n Revipe Organizer Software v.11 in Amazon is $79.95. I could say its really worth for this price. Visit their website to know more DVO and Facebook Page. the software looks quite interesting!! I can't wait to try this. I really need something to organize all of my recipes. Sounds like a very useful software. You have explained everything cleary. Very handy one. Well explained too.